Let me preface this post by saying that I wanted to be a green as possible with this batch of chicks. Since we live in the south east, and it is really hot out for a majority of the summer , I thought I could get away with brooding without electricity. 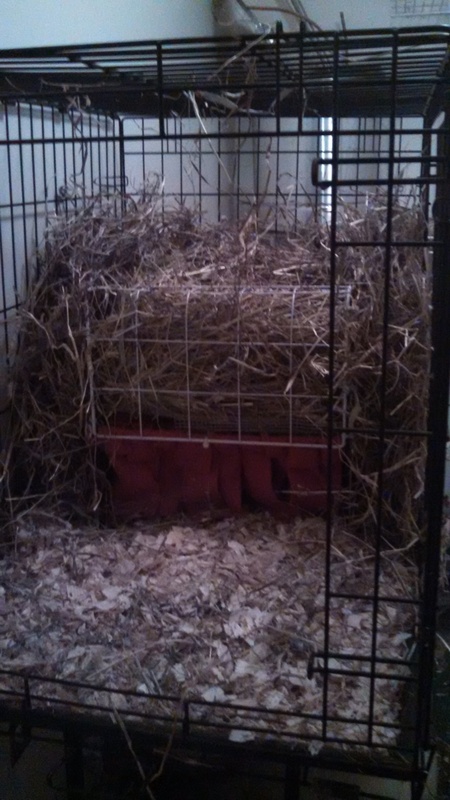 After much research on cold or hay box brooders, I came to the conclusion that this would be acceptable. I also happen to have all the materials on hand to do it. The first step; attaching fleece to a crate. 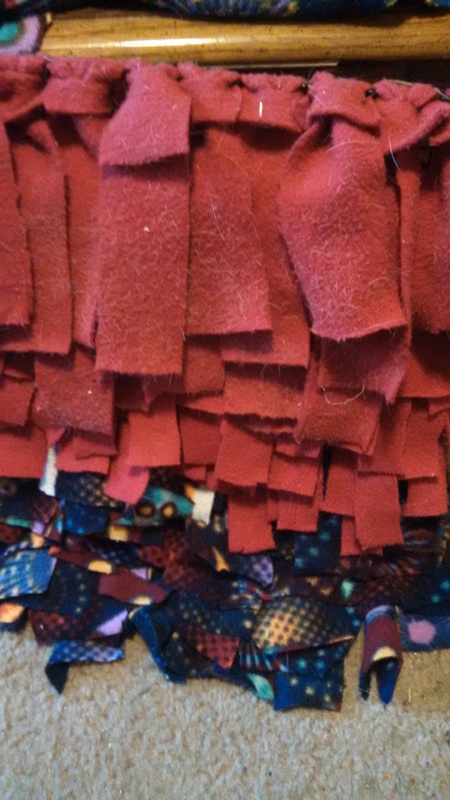 so I had a lot of scrap fleece laying around from when I acquired two guinea pigs. So I cut these into 6 inch strips, and attached them to a wireframe belonging to a crate. Hopefully, this would mimic the feathers of the mother bird. Step 2: putting the wire panel into the crate setup. 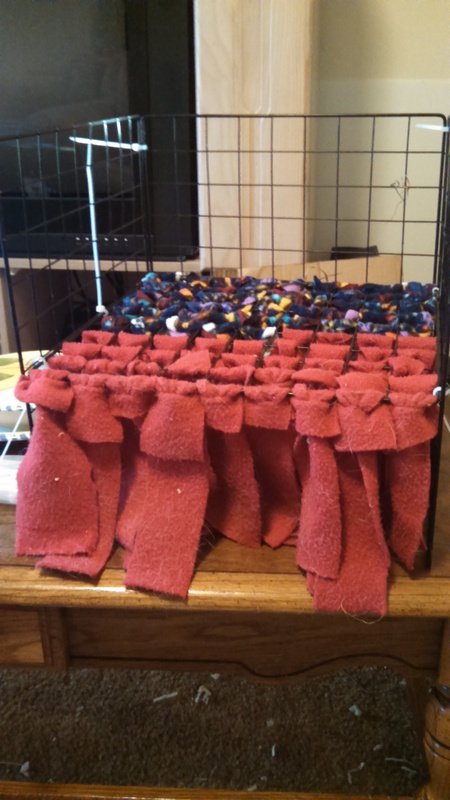 Then I took three other wire panels, and suspended the fleece panel about 3 to 4 inches off of the ground. Then I used leftover scraps of the reflective car sun shields to make sure the heat is reflected inside. This is attached on all three walls. Then I created a top rack of hay that was 5 inches deep. I placed this cold box into a dog crate, as they need to stay near the box for the first couple days. 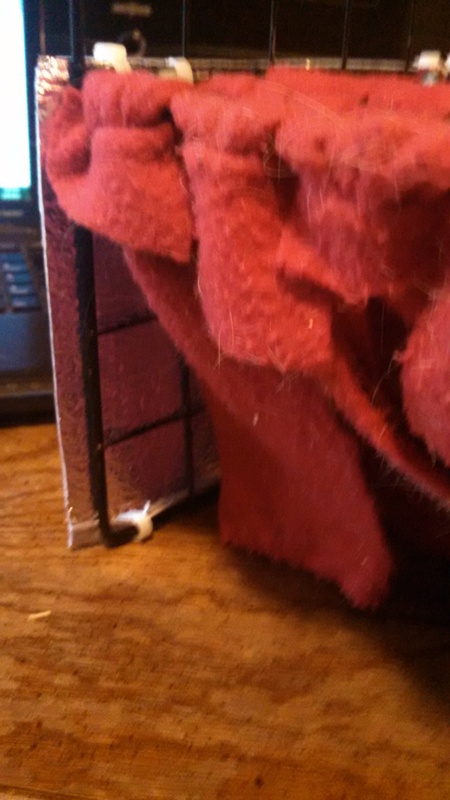 I also stuffed hay behind and on the outside sides of the box. Since the chicks were only 5 days old, naturally, I was freaking out about using this system. What they get too cold? What if they get too hot? Can they really live without a lightbulb? Most of the posts on cold brooders say that you are supposed to lock them in for the first night under the flaps, but the heat (86F) and humidity was so high in the laundry room, that I thought the chicks could regulate their own body heat. I put them in at 9 p.m. On Sunday night. I checked on them several times between 9 and 11. I made sure they all came in and out of the flaps, and knew that was where their food and water was. When I checked on them at 4 a.m. (Because I’m paranoid), there they all were, huddling about half in and half out of the flaps. It was still pretty warm in there. When I went to check on them at 6:15 a.m. all of them were under the flaps, as it has dropped the low 70’s. I pulled them all of the brooder, just to make sure nobody died. All of them were healthy. They will have a heat lamp to encourage them to eat outside of the flaps for the first few days. Once they grow taller, I can have the flaps raise up to accommodate their height.